Keracolor S is a premium-grade, preblended, polymer-modified sanded Portland-cement tile grout that requires only the addition of water for mixing. 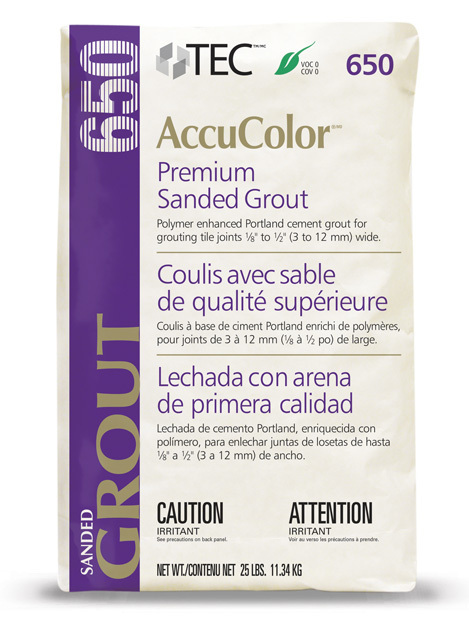 It will grout joints from 1/8" to 5/8" (3 to 16 mm). Keracolor U is a premium-grade, preblended, polymer-modified unsanded Portland-cement tile grout that requires only the addition of water for mixing. 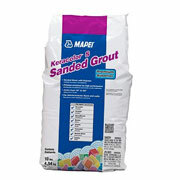 It will grout joints from 1/16" to 1/8" (1.5 to 3mm). 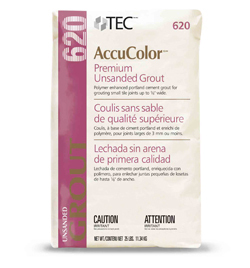 Ultracolor plus with dropeffect™ technology is an ultra-premium, fast-setting, polymer-modified, color-consistent, nonshrinking, efflorescence-free grout for joint widths from 1/16" to 1" (1, 5 mm to 2, 5 cm). Drop effect technology reduces surface absorption to help repel water, dirt and grime from penetrating grout joints. 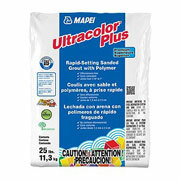 Ultracolor plus is specially formulated with Mapei’s high-hydrated cement technology (HCT™) to eliminate the common problems related to portland-cement grout, such as color consistency and efflorescence. 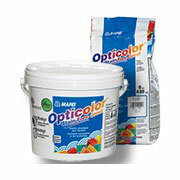 Opticolor is an improved, water-cleanable, reaction resin grout with chemical and stain resistance. 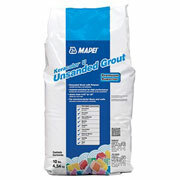 It is a nonsagging, efflorescence-free grout with no shrinkage. Opticolor provides color uniformity, stain resistance and durability beyond that of cement grouts. In addition, it is easy to maintain, will clean to the original color and contains BioBlock™ technology. 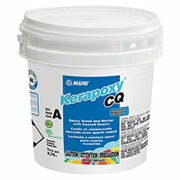 Kerapoxy CQ is an improved two-component, 100%-solids epoxy grout and mortar. Nonsagging/nonslumping in joints up to 3/8" (10 mm), water-cleanable and easy to apply, Kerapoxy CQ uses a proprietary aggregate to achieve its durable color, making it excellent for countertops, high-traffic areas, and areas needing stain and chemical resistance. Easy to maintain, Kerapoxy CQ will clean to the original color and contains BioBlock® technology to help protect against mold and mildew. Kerapoxy CQ is efflorescence-free and has excellent resistance to chemicals, staining, alkalinity, chlorine, bacteria, cracking and color deterioration. Because Kerapoxy CQ is impervious, this ensures that spills stay at the surface level for easier maintenance. 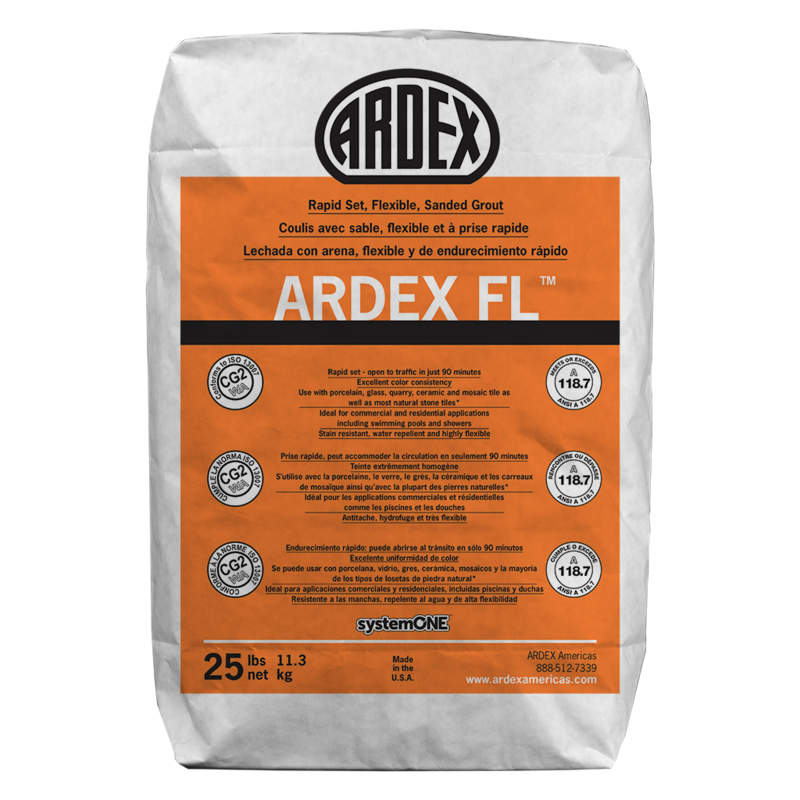 ARDEX FL™ Rapid Set, Flexible, Sanded Grout is a high-performance, Portland cement-based, polymer-modified grout that provides a smooth finish for floor and wall tile joints 1/16″ to 1/2″ (1.5 mm to 12.7 mm) wide on installations of porcelain, glass, quarry, ceramic, mosaic and most natural stone* tiles. Freeze/thaw resistant, stain resistant, water repellent and naturally resistant to mold and mildew formation, ARDEX FL is also fast setting and can be open to traffic in just 90 minutes. With excellent flexibility and high strength, ARDEX FL is ideal for interior and exterior floor and wall applications, as well as for use in swimming pools and other wet areas with pH-balanced water.